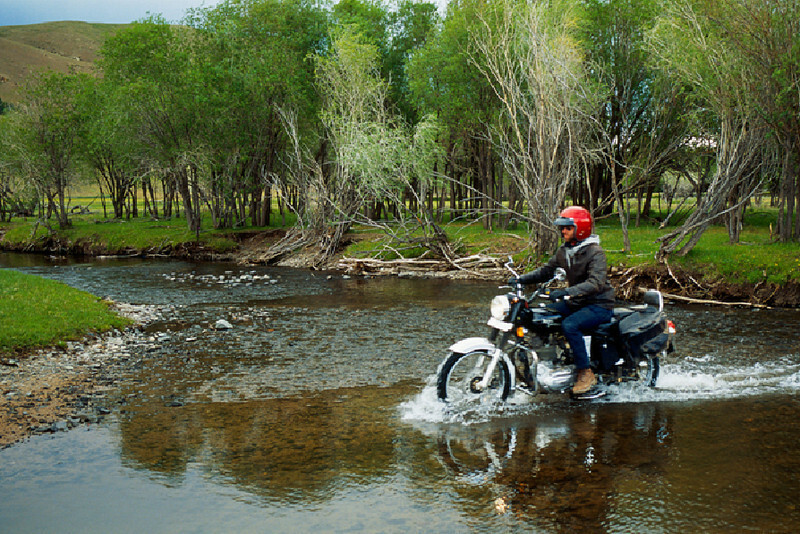 Go on an epic adventure ride through the wildernesses of Mongolia. One of the last few untouched places in the world where you can still feel like an explorer. 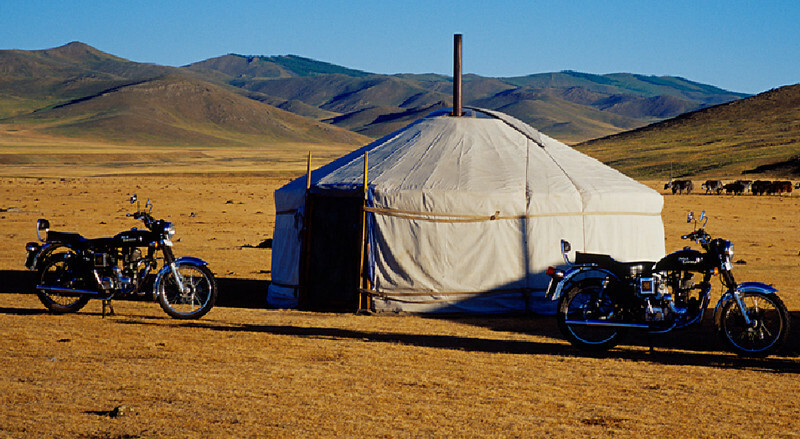 Ride vast open steppes, glide through forests and touch a bit of Genghis Khan. See the night sky like you’ve never seen it before! Click here for what’s excluded. 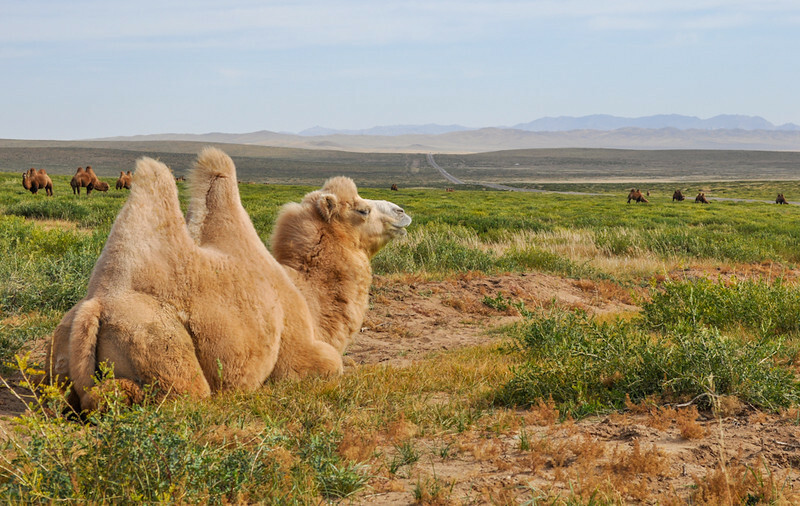 Arrive in Ulan Bator and transfer to the hotel and get acquainted with the unique country of Mongolia. Explore the city a little and get a good night’s rest for the start of our journey tomorrow. 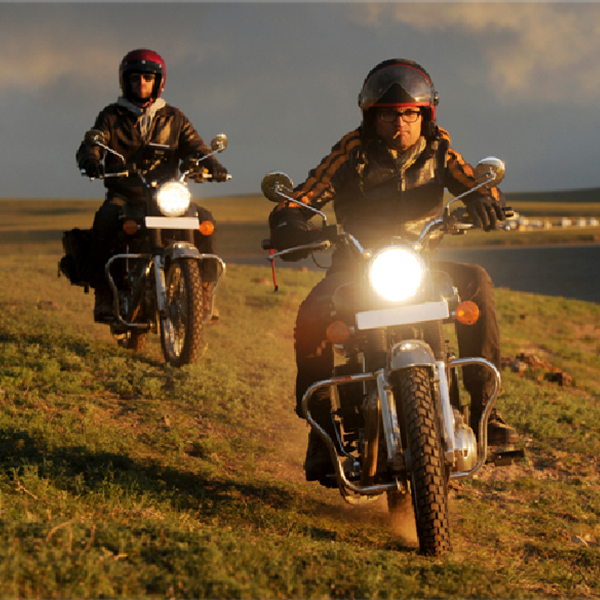 We leave the city behind to our staging location and you meet your Royal Enfield motorcycle. 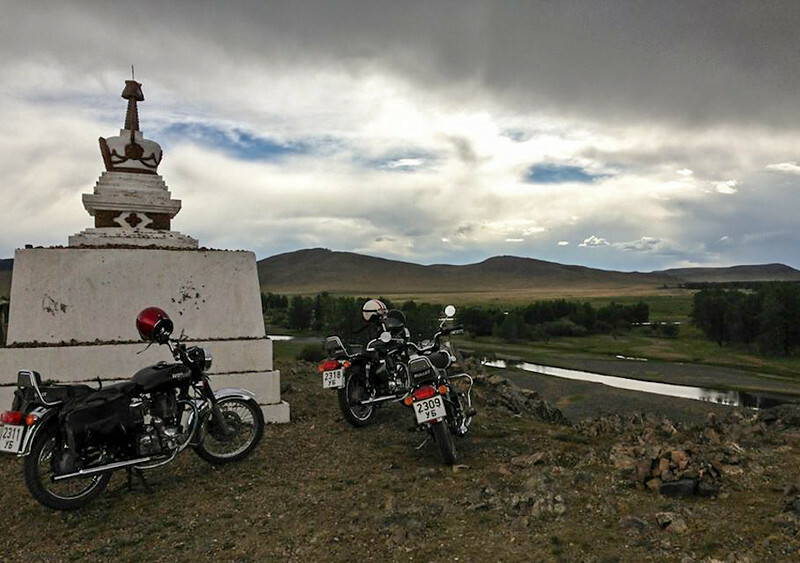 After getting acquainted, we hit the road and ride some beautiful tarmac across the wide open steppes. You’ll be passing herds of cows and sheep and sometimes see eagles take off in the distance. We overnight at the only guest house in the village of Dashinchilen. 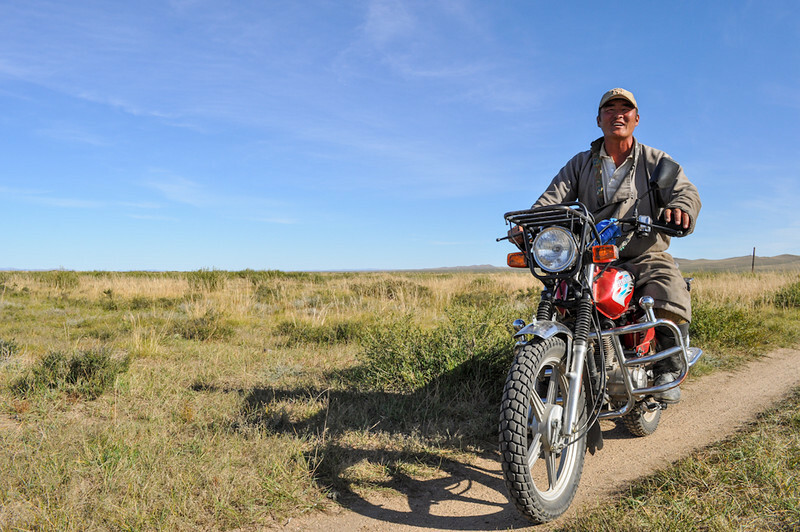 We continue on the good tarmac of the expansive steppes and then head off track for some sand riding to Ogiy Lake. We start staying in Yurts, which are the way most Mongols live. These are comfortable tents where you will be sharing with two or more people and there’ll be a common bathroom that is up to western standards. The charm of the yurts is that they provide just the basics; a warm bed and a stove in the center – a true adventure experience. We wake up to the beautiful view of Ogiy Lake and then continue off-road on tracks straight into the heart of the Mongolian Steppe. Civilization is far behind and we’ll only be passing a few yurts along the way. If you wanted to escape from regular life, this is the place. We end up at our next yurt camp at the Tsenkher Hot Springs and cool the muscles in its rejuvenating waters. 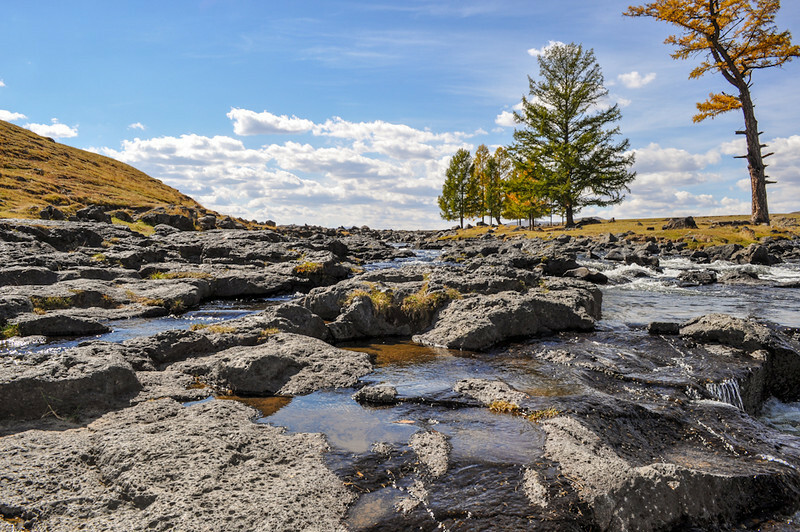 From Tsenkher, we continue on off-road tracks and slowly leave the steppes behind as we begin to ride in the foothills of the Khangai Mountains. By the afternoon, we arrive at our destination of Orhkon Valley and are welcomed by a Mongolian family to stay with them in their yurts. 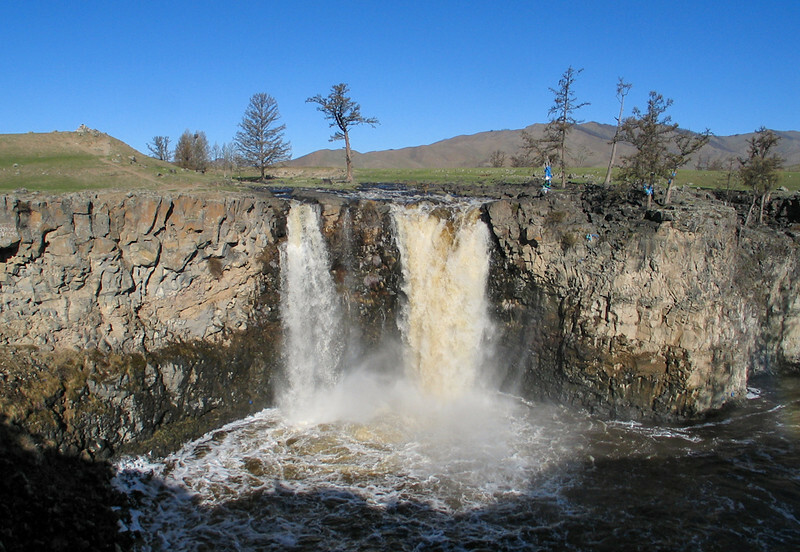 Nearby is the majestic Ulaan Tsutgalan waterfall. In the morning, you have a chance to trade in your mechanical horse for a more traditional one and feel like a proper Mongol. A long horse ride is the perfect way to become one with the steppes. 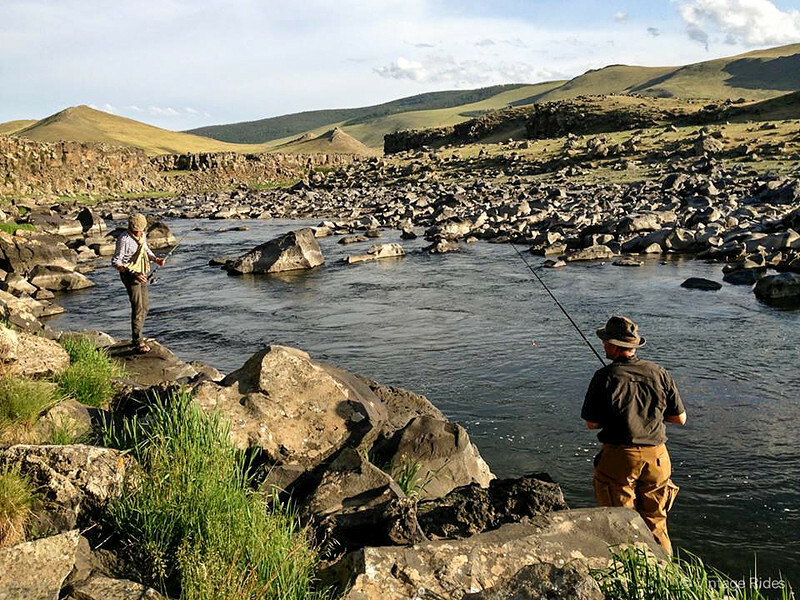 Then you can try your luck with some wild river fishing. Our hosts will show you how the Mongolians do it best. We continue on the bikes a short distance to Tal Beun for the night. 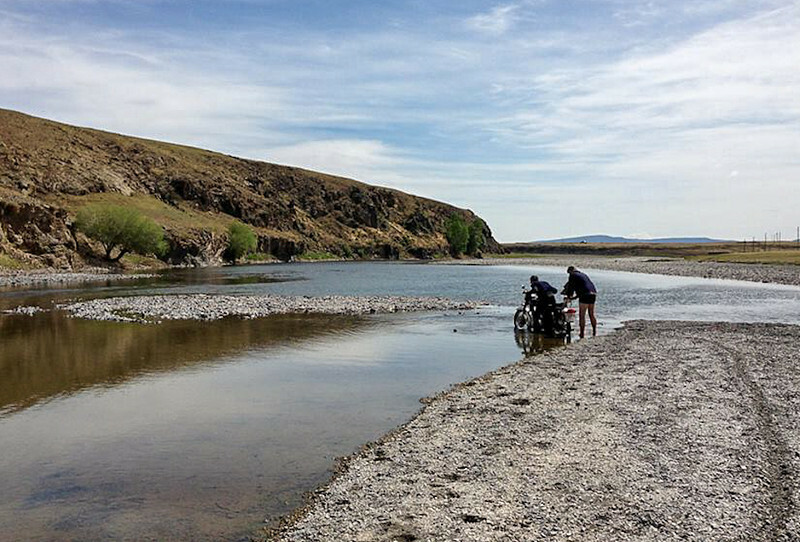 Another epic day of off-roading on lovely tracks along the steppes and hills and rivers of Mongolia. We’ll visit an old Buddhist Monastery along the way and end up in the ancient city of Karakorum, yes, the same name of the famed Karakoram Highway between Pakistan and China. Karakorum was the capital of Genghis Khan’s Mongol Empire. In the 13th century, during its hey days, this used to be the London or New York of the world. Now, it’s almost forgotten to the outside world. In the morning, you can either sleep in or get out and explore this famous historical city. After lunch, we head on some sandy tracks to the Khogno Khan Natural Reserve and its mesmerizing Elsen Tasarhai sand dunes. The strong winds carry the sand all the way the mountainside making for an impressive sight and you’ll see why this place is called the Small Gobi Desert. 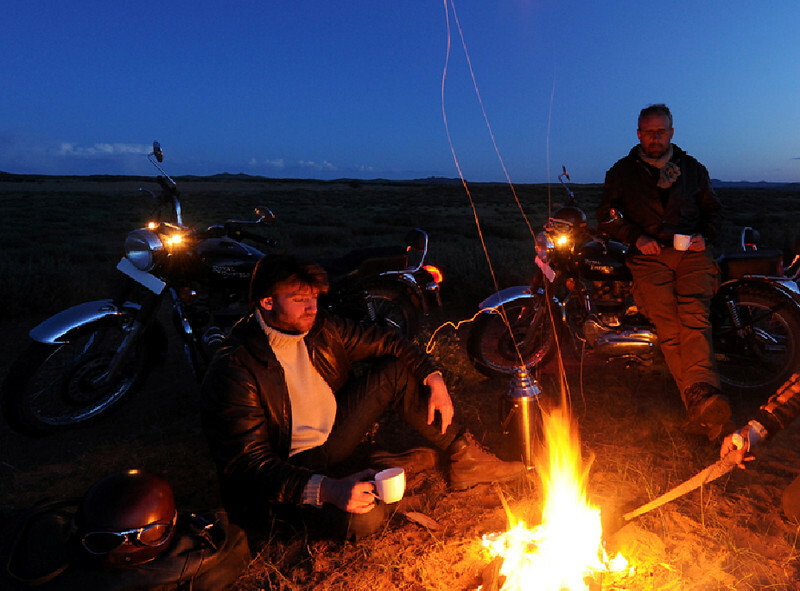 We leave the sand dunes behind and I suggest you soak up as much as you can of the surrounding desert, mountains and steppes as this is the last riding day of your epic adventure across Mongolia. We get back on the tarmac and head into Ulan Bator and we celebrate the end of the journey with a grand feast! Enjoy breakfast in the hotel and maybe grab some last minute souvenirs as you get dropped off at the airport for your flight home. On the flight, I’m sure you’ll be pinching yourself to see whether the last few days were just a dream and then you’ll have a glance through your photos and smile. Please note: itinerary subject to change depending on weather conditions and other factors. Click here for details on booking and the cancellation policy.